Sincere apologies once again to my fellow bloggers… I will be by to see you soon. I really do want to catch up with everyone. I've also got some special video footage I want to share too. Today’s photo location was Edinburgh Zoo and it’s been a while. 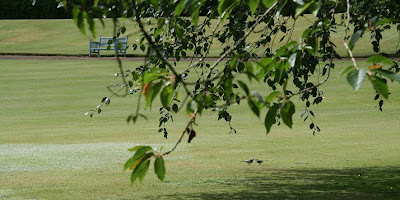 After a picnic lunch (just out of the showers of rain) the sun came out and my daughter and her friend went a-wandering. A-wandering too went I with camera in hand… although I was not so snap happy as I have been with recent garden visits. I cannot deny the incredibly valuable conservation work that zoos and wildlife parks do in bringing species back from near or certain extinction. 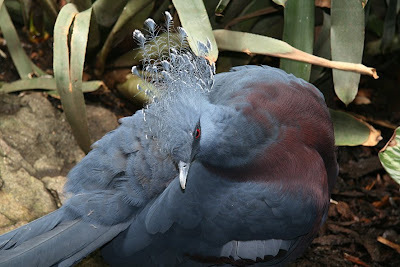 However, I’m still not completely comfortable seeing the animals in their enclosures… as nice as many are now too with sizable space and lots of interest. I suspect I am not alone there. I can see that the animals are well looked after but it’s just the whole locked up thing. 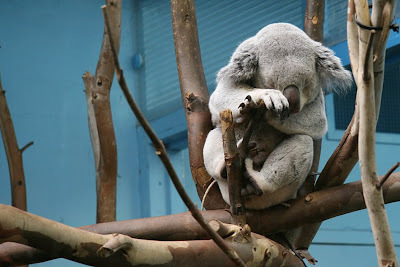 Yes, today I was able to see otters (Chinese I think), Koala’s, Diana monkeys to name but a few. Granted, it isn’t the same as seeing them in the wild but equally I cannot deny that being able to see these animals, reptiles and birds for real rather than just through books and television screens makes their plight for survival so much more real too. The zoo was very busy on our visit today. Many crowded around the enclosure of Mercedes the Polar Bear. I decided not to go near as I didn’t want to see her. 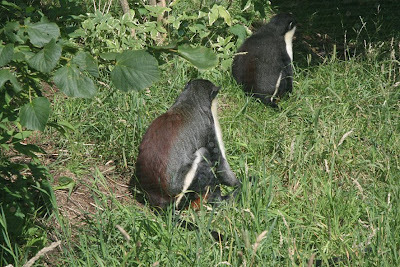 Edinburgh Zoo say: Mercedes’ keepers provide the highest possible standards of care and whilst her enclosure is adequate to meet her needs, public perception has always been that they would like to see her in a larger enclosure. I’d tend to agree with that. To quickly redeem myself I’ll end with a pretty pic for the weekend. 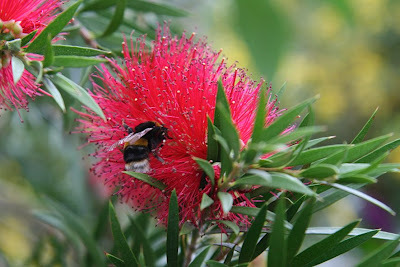 A bee on a bottle brush flower… not quite in focus with the wind blowing the plant about but I loved the colour and the moment. 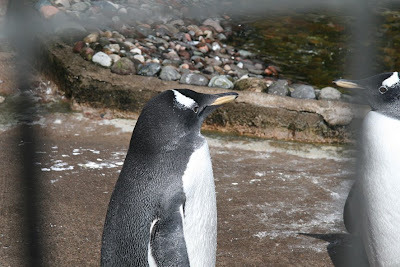 All photos above were taken by me at Edinburgh Zoo on July 30th 2009. Sunflower hearts… followed by a garden walkabout. Hedgehog photos taken in my garden on July 29th just after noon. Click to enlarge. 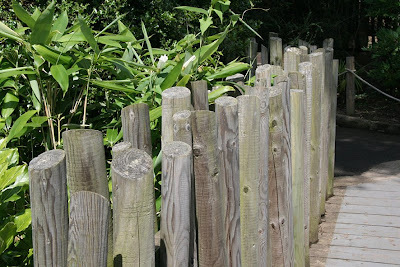 To join in or browse other postings from today visit Wordless Wednesday . 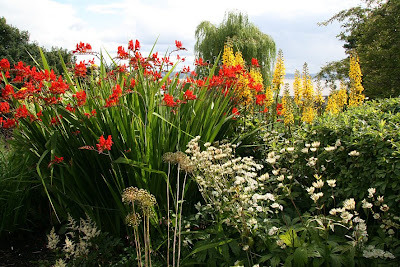 Parleyhill Garden in Culross opened its gates as part of the Yellow Book of Gardens opening for Charity on July 19th. 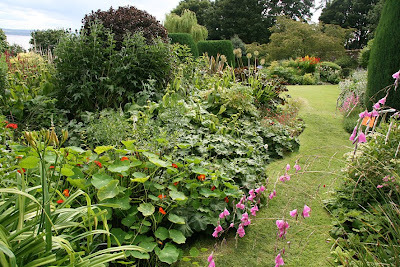 Wow… and what a gem of a garden this was! 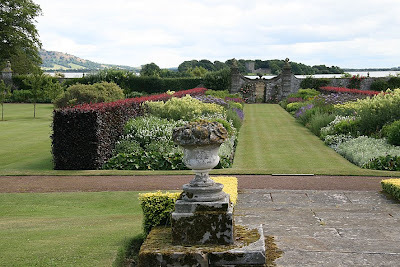 What a contrast to the formal gardens of Kinross House on my last visit but both gardens boasted equally stunning plants and planting in their borders. 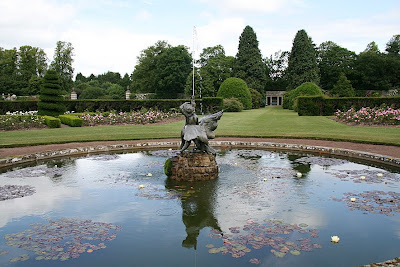 Sculptures also appeared in both gardens but from quite different eras. 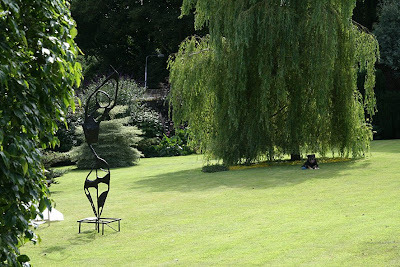 Works by local artist Julia Francis were being exhibited in this garden and will be present throughout the season. 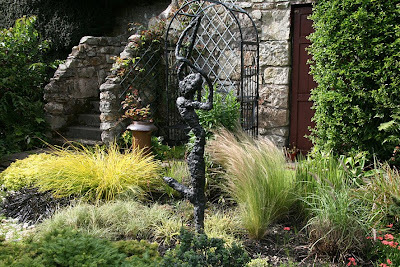 “All of Julia’s work draws inspiration from the ‘spirit of movement’ as observed in the medium of dance and in nature.” Julia was present in the garden to chat to visitors about her work too. 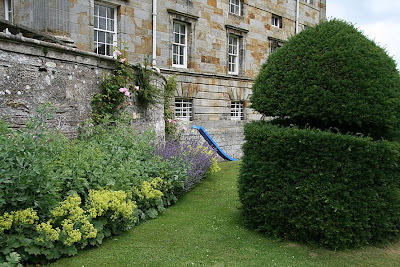 Topiary and seating areas were also included in both gardens. 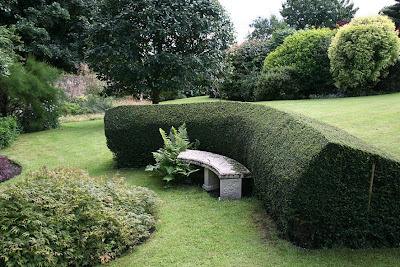 I liked the contrasts in location for the seating throughout this sloped garden. 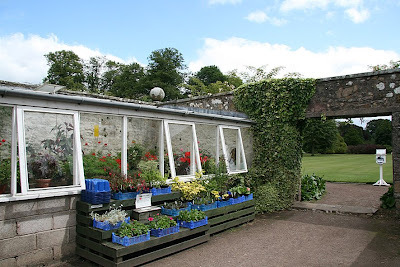 Enclosed or with a view down to the River Forth, corner spots or simply surrounded by plants. 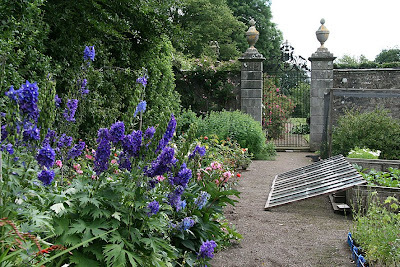 One of my favourite seats in Open Gardens visits are the ones just inside the garden gate with a table where (usually) ladies sit to take the entrance fee. A sun hat and umbrella are often close by … as are the owners. It is great to be welcomed into the garden. We briefly spoke to the owner... with the fine Scottish name of Ronald McDonald! I asked him if it was okay to take photos and put them on my blog and he was fine with it. 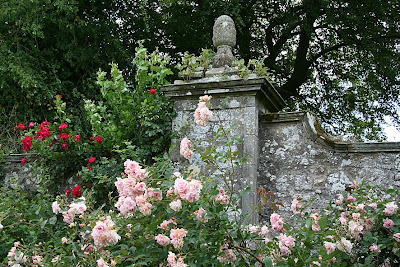 I have never taken photos on Open Garden visits before and would never dream of doing so without asking the owners. There is great restraint on my part here not to chat endlessly about what parts caught my eye in this garden. Instead I’ll invite you to share your impressions of it. 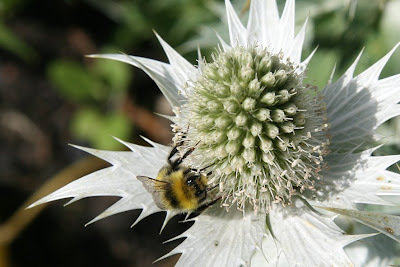 Okay… just a couple of things I’ll mention… masses of bees were on a good clump of sea holly flowers. 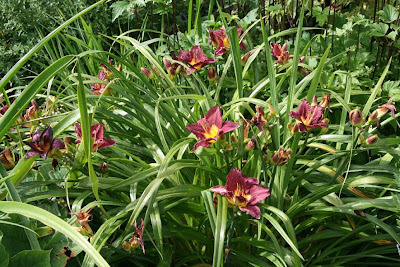 I spotted the first daylily I have ever bought (recently) in a border… argh… I think I’ll need a different location for it... more space required! 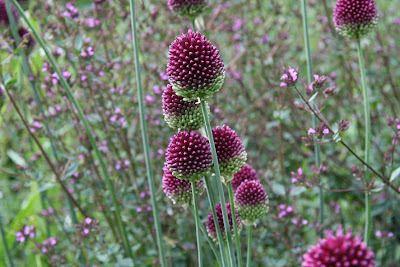 I also spotted drumstick alliums in flower… mine weren’t. One week on and they are now but I guess the micro climate of the river and walls brings plants on there. 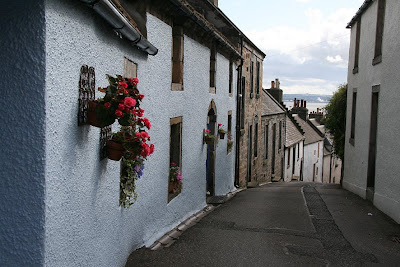 We parked in the village for our visit and walked along the water/railway path before winding our way through the narrow, cobbled streets and up past many pretty cottages with pots and baskets of colour decorating them. An added bonus of visits such as this is you discover hidden parts of the towns and villages so full of character. 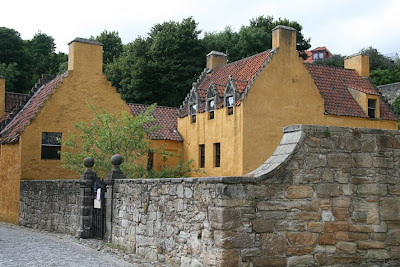 Culross (pronounced coo-russ) has one well known building of character… National Trust Property Culross Palace which is well worth a visit. 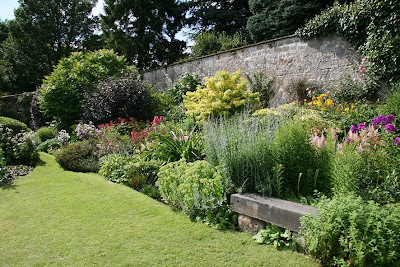 Now, Culross Palace also has a very steep, terraced and interesting garden but sorry by the time we left Parleyhill it was closed… another day perhaps. Finally, I would like to thank Ronald and his wife for sharing their garden so others can enjoy it and I can share it with you. I also have to commend them in all the work they have put in and no doubt will continue to do. From a field to this… what an achievement! All photos above were taken on July 19th 2009. Perhaps a Londoner might guess our location? 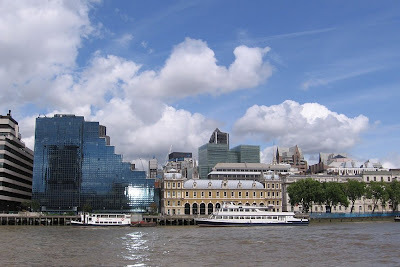 We were sailing along the Thames on a river boat! 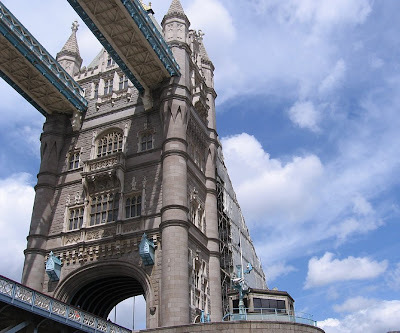 My daughter and I really just 'flew' down from Edinburgh for the day and were now sailing from a pier just East of Big Ben towards Canary Wharf... under Tower Bridge! 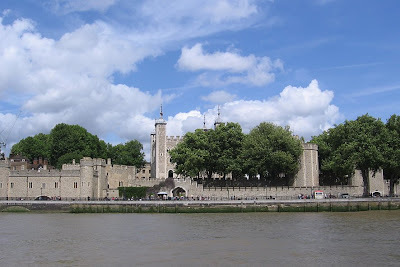 We passed The Tower of London first which has so much history behind it including the Traitors' Gate to the left on the water’s edge in the photo above. If you click on the photo to enlarge it you'll see the crescent shape on the wall with the writing above it. On previous holiday visits when my daughters were young we did the tours but not this time. On this occasion... we were heading for the more modern skylines. Sadly, from the pier, Canary Wharf didn’t quite meet with the expectations my daughter had for our trip after seeing it in a Geography video at school. Perhaps we needed to see it from another part of the river. Many of the buildings we saw prior to it looked much more interesting like the blue windows reflecting across the water in the building above. What wonderful clouds and skys were seen from the river too. Okay… so this isn’t showing any garden watching! A tight itinerary was required for this trip and a bit of research too so we could take in a few sights. A garden visit had been discussed… but reality kicked in on my part and it just couldn’t happen. Oh yes… but I had one in mind! Kew Gardens is probably the most well known garden in London and we have been lucky enough to visit there on a few occasions when we have stayed longer. That... still wasn’t the garden on my mind. 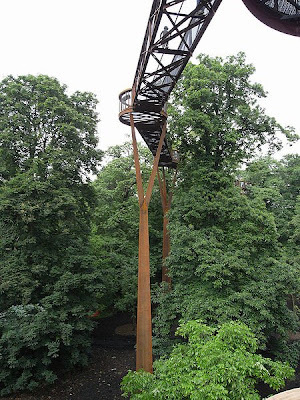 Looking for extra photos for this posting I remembered that Kew had a new treetop walk ...oh that would have been great to see! Mm… but would we have been brave enough to walk it? Oh... but I do know someone who has... thanks for sharing your visit Celia. 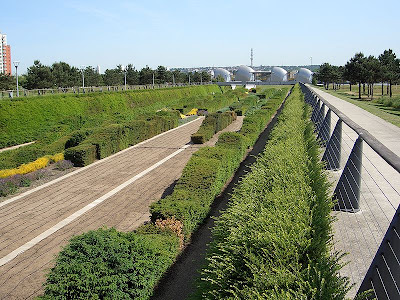 The Green Dock at Thames Barrier Park was where I would have loved to have visited. “Renowned international horticulturalist Alain Cousseran and Alain Provost selected colourful flowers and shrubs which reflect the river's ever changing spectrum of tints, shades and shapes creating a micro-climate where varieties of plants and butterflies abound.” I loved the strips of clipped wavy hedges and was certain that walking through them would have had quite an atmosphere. “Set within 22 acres of lawns, trees and uniquely contoured Yew and Maygreen hedges you can discover the delights of this urban oasis. An excellent children's play area, 5 a side football/basketball court, great places to picnic and play, the Thames path, with magnificent views of the barrier, and a fountain plaza where 32 jets spring from the ground to provide a cooling and entertaining delight for children to splash and play.” Yep… I’d say A Grand Day Out for all the family. The Thames Barriers themselves I would have loved to get a closer look at too. Although I do love the natural world I am also absolutely in awe of large pieces of engineering with strong design such as this making their mark on the landscape. Ah... finally I am thrilled to be able to link on to another engineeering masterpiece a little closer to home and one I have managed to get time to visit. 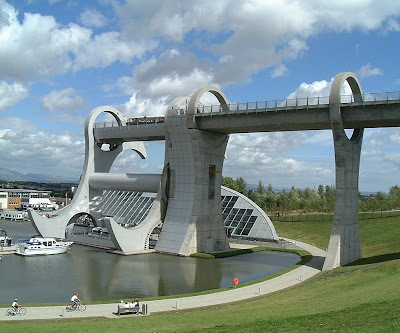 Using less energy than used to boil a kettle The Falkirk Wheel can turn 180 degrees. I found that absolutely fascinating especially in this age of trying to save energy. I loved this structure shown here on my first visit back in 2003. 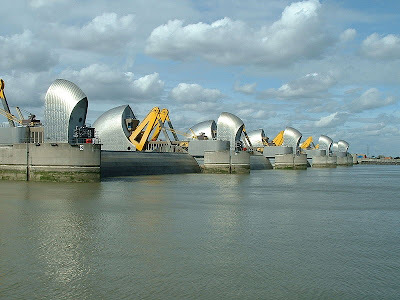 As with the Thames Barrier this also holds back water but in quite a different way. "The difference in the levels of the two canals at the wheel is 24 metres (79 ft), roughly equivalent to the height of an eight storey building.” It really is amazing to stand under it as it rotates. It is also amazing to be sitting on a boat as it sails in from the bottom level knowing that you are sitting in a boat lift! The doors open and hey presto… you appear at the top ready to sail along another canal. This isn’t a garden visit so I’ll not chat on much more about this but it is definitely another ‘Grand Day Out’ however when built this was never even seen as a tourist attraction at all! It very quickly became a top tourist site so booking during the summer months is probably a good idea. 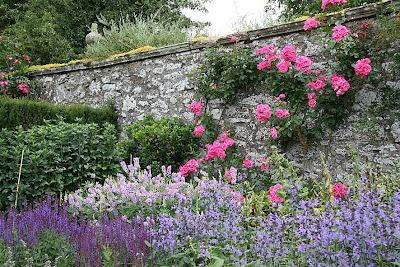 Back to gardens and a good idea for a ‘Grand Day Out’ over the weekend, one I cannot recommend more highly, is a visit to gardens that open for Charity. The two Yellow Books here in the UK (England/Wales and Scotland) list them all as do their websites. However, other gardens may also open outside the Open Garden Scheme so I’d suggest you check out local noticeboards and newspapers. 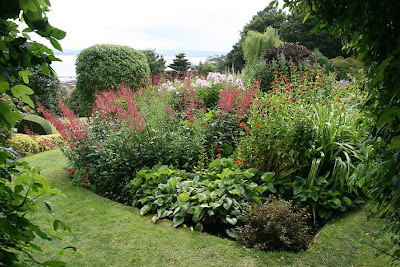 If you check out my menus above by selecting “GARDENING LINKS/Open Gardens for Charity” you’ll find links to other countries doing this outside the UK too… just incase you fancy an Open Garden Visit on your hols! Perhaps, you live in these countries and didn’t realise this was operating. Please do browse around. 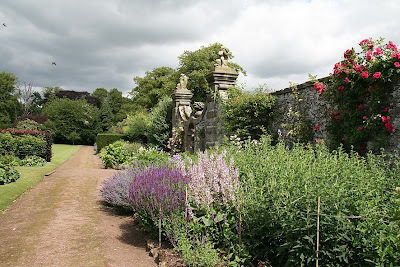 Last weekend, I browsed around a very special Open Garden myself but ran out of time this week to post about it… it’s coming up next and then we’ll have a bird and wildlife update. The first three photos above were taken by me in London on July 23rd 2009. The Falkirk Wheel was taken by me in August 2003. All other photos have been taken from Wikipedia. It’s that time of the month again… to show off all the flowers in the garden. Well… actually, yesterday was the day chosen by Carol at May Dreams Gardens to host this celebration of what’s in bloom during the middle of the month. Yellow flowers don’t often feature in my postings primarily as they don’t often feature in my garden either. However, golden foliage lights up my partially shady back garden. Purple and deep maroon reds show a richness of colour there that the same plants just cannot give in my baked sunny front garden. The Christophii allium shown above has just opened its flowers where the ones in my front garden are sporting the more sculptural look as dried seed heads already. Lavender loves the warmth of my front garden and I am loving this one above in a pot. I will need to look for the label but I’m pretty sure I’ve put it in a pot as there could be doubts about its hardiness. I bought it at a garden centre after seeing bees on it. 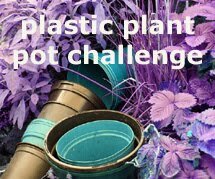 I’ve bought a few plants like that this year! Hanging baskets would require constant watering in my front garden so I have chosen to put a sedum in mine. I have three baskets with one plant per basket… you can see how the basket has been almost bleached by the sun. I like that look. 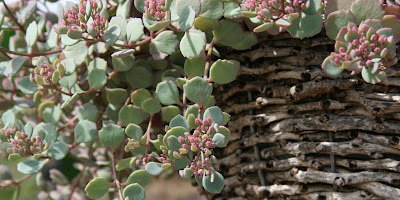 Sedum‘Rose Carpet’ was the plant I chose for its blue green foliage and rose pink flowers. It is also quite a compact plant for a basket. I just love it and always look forward to the first flowers opening. I over-winter the baskets in my greenhouse as I wouldn’t want to lose these plants. Perhaps this year I’ll try to take some cuttings. It would make a wonderful ground carpet! Some plants, like roses, just love the sun and are regularly seen in front gardens here in the UK. Although Red Campion is probably more associated with woodlands than gardens... far less front ones! This year I moved a number of Red Campion self sown seedlings out there to a space behind my giant oat grass (stipa gigantea) and just as I hoped its wonderful ‘pink’ flowers can be seen through the stems now. Verbena bonariesis is also towering over a number of plants sitting snugly in its pot in a sunny corner where it will catch the last rays of the evening sun. I’m looking forward to seeing butterflies on these flowers soon although I may need steps to photograph them! 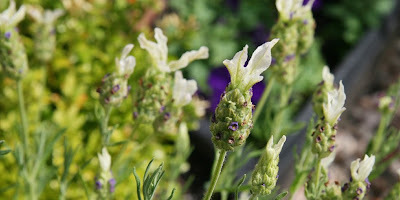 Soon a sea of lavender (three plants full) will be fully in flower... the first ones are just starting to open. The bees will enjoy that just as they have been enjoying the wonderfully deep red pin cushion flowers of the little kniphofia. Butterfly visitors have been on the low side this year but soon the buddleja will be in flower. This plant is not called the butterfly bush for nothing! This year it will get a lot more light as I took out the euphorbia that was growing next to it. 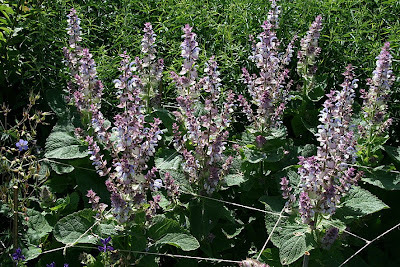 Silver foliage plants like the stachys are great in full sun but in my back garden I’ve found a spot with just enough sun for it to be happy therte too. 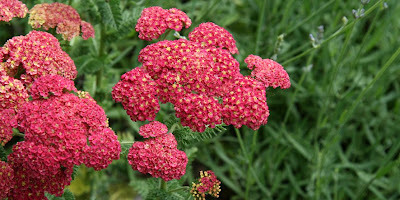 Now its wonderful clusters of pink flowers can be seen. The Hebe I moved a few weeks ago has survived the trip and is now in flower too. My first Japanese anemone for the year I expect to be fully open tomorrow and the Hostas have started flowering too. Campanulas and Cransebill geraniums are in flower but the clock is ticking on them. No probs with the geraniums though, as I’ll cut them to the ground a hopefully get a second flush of flowers later in the year. Deep coloured flowers are becoming more common in my front garden and I will never tire of foliage plants with year round interest like the heuchera and black Ophiopogon….both seen with flowers now. So that’s about it for this month so I’ll end with the eye catching cranberry achillia which is new in my front garden for July 2009! There are a few other flowers that I didn’t catch with my camera in the spell between showers of rain yesterday like the white and blue borage. 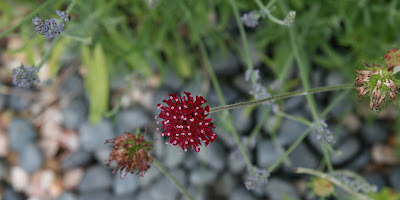 Interestingly looking at my posting for last year we seem to be ahead with many flowers over. 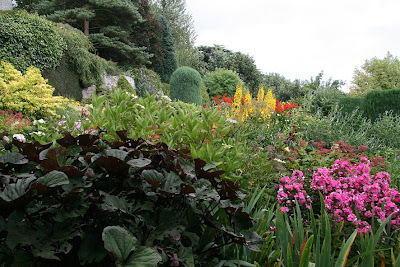 To see more flowers from Scotland at this time of the year you might like to see the borders in the garden visit of my previous posting. 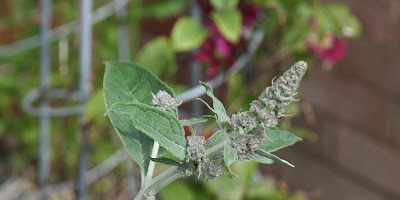 You can also pop over to Carol’s posting to see other garden blooms from all around the world vis the link list there. It’s great fun internet garden visiting too! All photos above were taken in my garden on July 17th 2009. 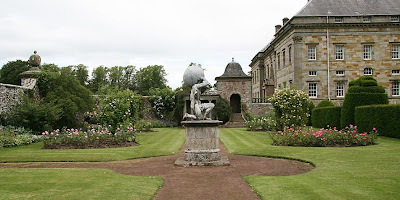 Kinross House Gardens begins my series of garden visits for the summer. Yep… and it ticked all the boxes for a formal garden. 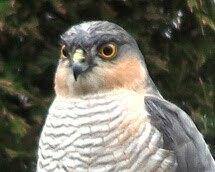 However, it also ticked a few more for garden watching too! I enjoyed my visit way more than I expected. 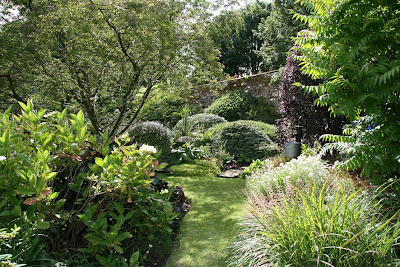 My intention for this garden visit was to be a quick wander and a brief photo shoot… before and after shots really. It has been a few years since I’ve been here and it was the long central border that was taking me back. To enlarge any photos just click on them. Knowing the layout… I thought I’d have a quick buzz about some other areas too. First off, I popped into the Kitchen Garden on the left just outside the garden entrance. Beautiful rows of healthy looking produce growing in tidy beds were seen… but what was that rustling sound? Standing a moment, my question was quickly answered. Out from under the strawberry netting appeared a grey squirrel behaving decidedly suspicious! 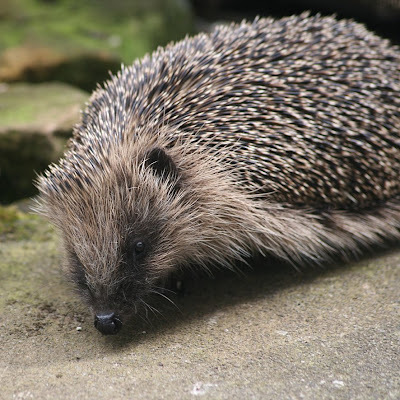 It ran off at speed towards the wall that surrounds the main garden. It dropped something on the path… a half eaten strawberry. I hadn’t realised squirrels would eat them! Drawn to the deep blue flowers behind the greenhouse in the far corner I stood for a moment admiring the view ahead inside the garden. 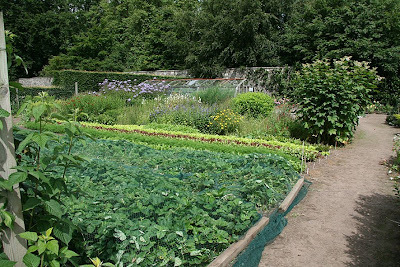 At the same time I enjoyed being in a kitchen garden that was very much cared for. More rustling could be heard. Passing a fruit cage at a corner the noise got louder. Inside I could see blackcurrants on the bushes. At ground level I could also see a smaller grey squirrel frantically trying to get out from under the netting. It hid as I approached. When I stood still it made a successful escape running off to a climber on the wall. I could hear the climber rustle now. I do suspect that more than a couple of eyes were watching me as I walked out the gate. 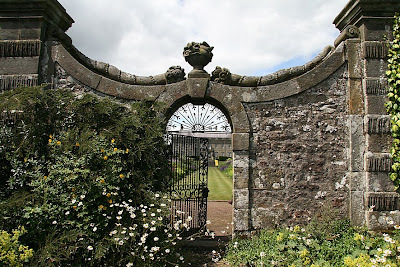 Through the arch, passing a tidy plant sales area and the neat lawns of a formal garden could be seen. 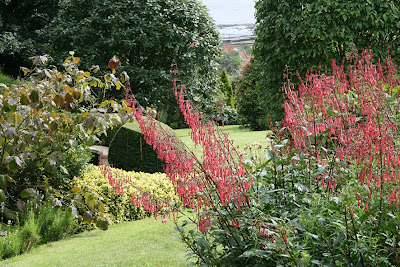 Yes… before even walking out into the garden I just knew the long borders weren’t going to disappoint. 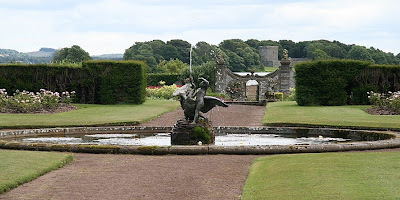 En route to the long borders I pass another classic formal garden feature… a raised circular pool with water lilies and a fountain sculpture. Symmetrical rose beds, clipped hedges, topiary, trees, garden seating areas and the perimeter garden wall kept ticking the boxes for a formal garden. Almost there now! Just a brief stop for some garden watching first… lots of birds were about which was great to see. However it was the ones swooping to the ground that first caught my eye as I approached the house when I arrived. They were inside the garden too. Sorry, too fast for photos. These are birds I have never seen in my garden (not enough space I suspect). You might have guessed what I was watching… swallows. I was transfixed for a while. I had never seen many at all and here they were all around me. Okay, moving on let's take the steps now.... the border awaits. 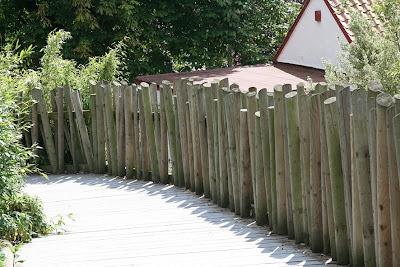 The long border draws you down to a gate – the ‘Fish Gate’. Okay… this is quite a special (and historical) location. We’ll not go out there just quite yet though. This became my favourite part of this visit… some brilliant ‘just out of the garden’ watching there! Looking from the bottom back up to the house gives a sense of scale to the garden and a contrast outside and inside this long border. 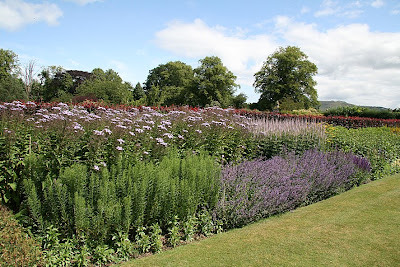 Borders like this need staking to help the plants keep upright by the end of the summer. Here you can see how it can be done and in a few weeks this will be completely hidden with the growth the plants will put on. Then seamlessly you are looking at hotter, deeper colours. Okay… so what's on the other side of the 'Fish Gate'? 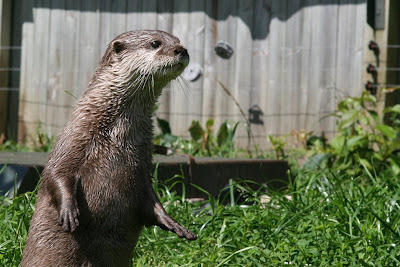 Nope… I didn’t spot any fish! There was a clue in the background of the first border photo. 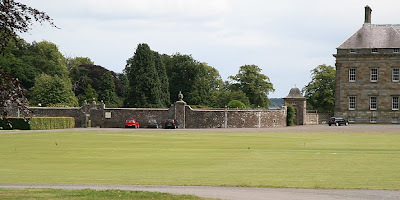 Kinross House was built on the shores of Loch Leven. 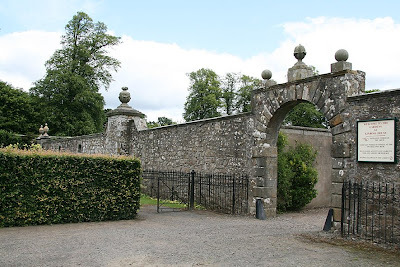 Standing from various points in the garden and just outside this garden gate the ruins of Loch Leven Castle on ‘Castle Island’ can be seen. Passing by the town of Kinross along the motorway you can also clearly see the Loch and Castle. 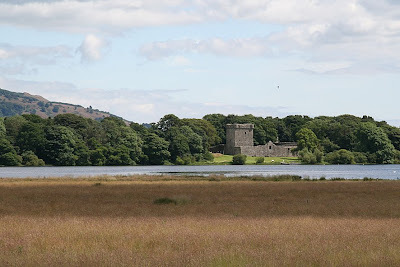 Loch Leven Castle is most remembered for the imprisonment of Mary Queen of Scots in 1568. However, for 300 years it had an important role in Scotland’s history. 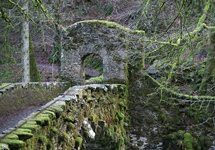 Searching for info I came across some excellent photos from the island on the Undiscovered Scotland website with links to the history too. Boat trips across to the island operate over the summer months if you fancy the trip over to see it for yourself. 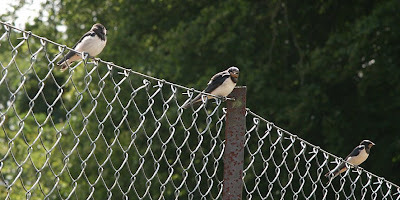 .. a wonderful row of young swallows on the fence of an unused tennis court. 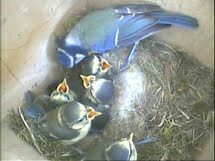 Parent birds swooped in and out. I really was transfixed now! The birds didn’t seem bothered at all by my presence. I guess they had an idea I couldn’t get too close to them anyway. Photos were tricky to get. 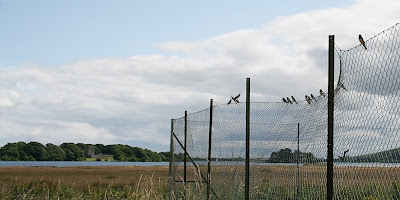 On another side of the fence I was able to walk almost completely under three young swallows. Looking at them closely I could see their banana mouths which told me they were fairly recent fledglings. Not the best of pics though but I was just thrilled to capture this moment. A quick flight across me as I stood still with my camera and my attention was now drawn to a green looking bird in a bush. What was that? I turned to take photos while the young swallows looked on from above me. I could barely see it as it was so well camouflaged. I took the shot not knowing if I got it or not. I was thrilled that I did! My guess was a warbler perhaps. 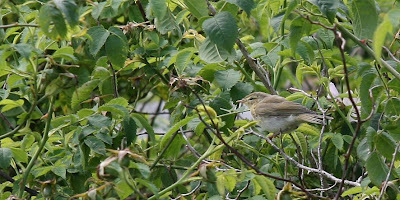 I posted my photo on the Birdforum and it was confirmed that it was a willow warbler. I had never seen one of them before so I was delighted. 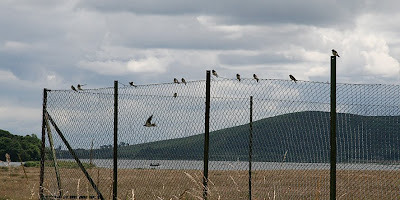 Some time past as I returned to watching the longer strip of young swallows. Time was fast running out. Time to head back into the garden now. The sun was playing hide and seek with the clouds. Inside the garden again and my eye was drawn to the border along the wall. I’m really not what you’d call a rose fan but I could not deny how well they looked with the stone of the wall. 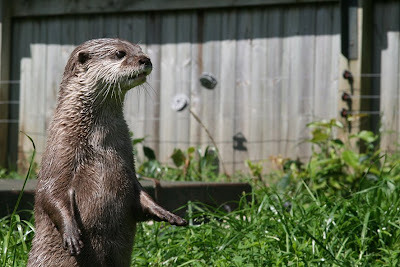 Okay… let’s quicken our steps now along the perimeter edge of the garden. 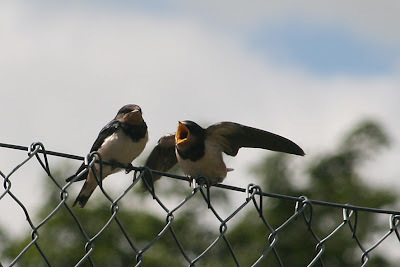 Ah… parent swallows are speeding away too having just flown over the gate. Woah... this riot of colour did make me smile. Yep... formal gardens just wouldn’t be the same without roses. Bright colours really do stir the senses too don’t they? 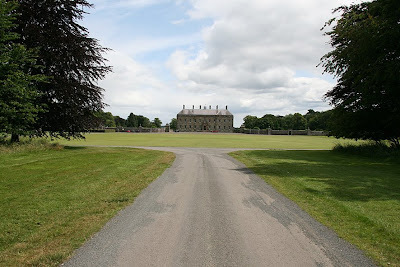 Walking along towards the corner and the cooler paths under trees and the expanse of lawn can be seen once again. Green is such a relaxing colour. Oh… and what another lovely and expected moment of garden watching I was witnessing now! Another parent bird and juvenile moment… this time it was a Pied Wagtail. I stood a moment longer but went no closer. What a 'garden' visit I was having! Really must get going now. 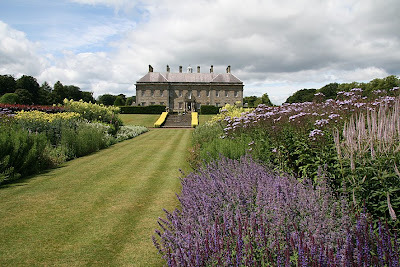 Walking to the opposite corner of the garden (past the pool) and we have a return to the classic formal garden vista…. Walking around the House to leave the garden and this not so classic formal garden view really caught my eye. It really made me smile… a children’s slide (blue like ours was) tucked in a corner like we used to do with ours.. Kinross House is a family home and not open to the public and how great to see that a young family can enjoy this garden too. A final visit… I hope not. 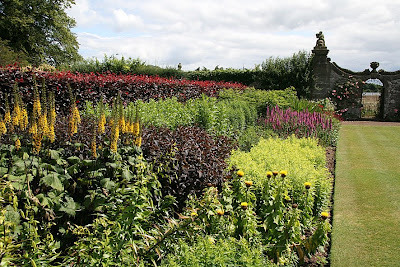 Ideally it would be great to return at the end of August to see how the long borders and kitchen garden looks then. Oh... and I wonder what birds will be visiting then. Okay… I couldn’t wait until August! Yesterday I made a return visit with my video camera. Yep… you can perhaps guess where I was heading… this time I didn’t go into the garden. When standing watching the rows of swallows just outside the garden gate I spotted people walking along a path. I knew there was a walk around parts of Loch Leven so I headed around the other side to see where I could pick it up. 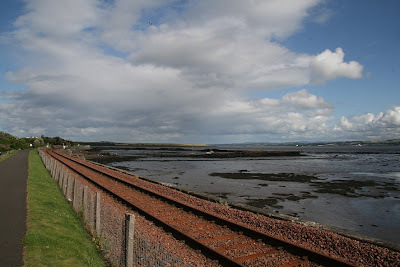 From Kirkgate Park I was able to park my car and pick up part of the Loch Leven Heritage Trail. I had never been along this part before and within five minutes along it I was standing on the other side of the unused tennis court of the previous day and looking at a couple of swallows. Not a long line of swallows this time but that was okay. I took my tripod this time and waited patiently. Meantime I took out my camera and got a couple of photos first but my quest on this visit was to capture footage of the young swallows being fed. 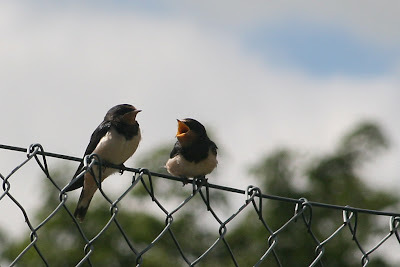 The young swallows were also waiting as you can see above. I was thrilled to get some closer photos this time. I did find it difficult getting the eyes in my photos as the head is so dark. I haven’t mastered enough settings in my camera yet. Ah… but I do know others who have like Richard and Mike who have some brilliant swallow shots on their blogs. Bright midday sunshine made seeing in the viewer of my basic video camera difficult and focusing a bit tricky… but hey I did still get some swallows being fed on film. I am well chuffed! Oh... one very final thing … this area has one other major attraction and it’s on this weekend. I’d like to wish all the revellers at Scotland’s Music Festival T in the Park a great time. My daughter is there for the first time this year so I’m especially hoping the weather holds out for them! All but the last three photos were taken on July 9th 2009. The video and last three photos were taken on July 10th 2009. 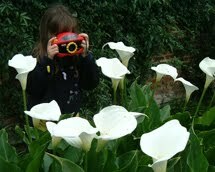 Garden watching blogger loving all the shared chat & images of plants, birds & wildlife through blogs and tweets. 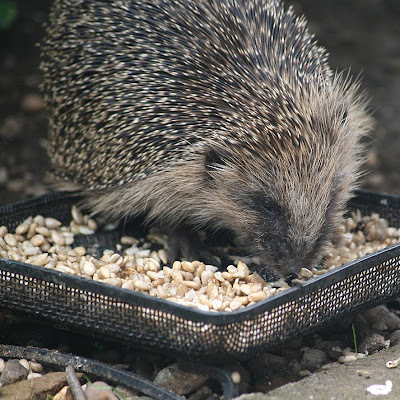 It all began with a couple of bird feeders, moved on to a hedgehog feeding station, planting for pollinators and the building of a wildlife pond. 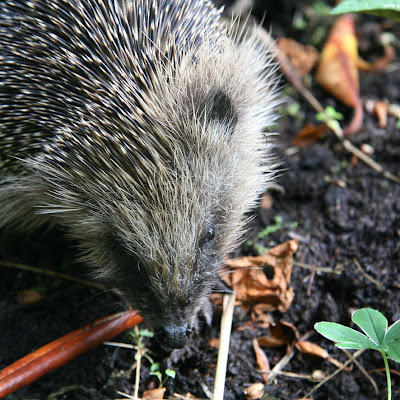 Every step has exceeded expectations in terms of wildlife watching and enjoyment of the garden. 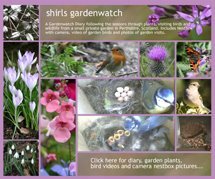 Please note, unless otherwise stated, all text and photos property of shirls gardenwatch. Please do not copy without asking my permission first. Six eggs, two attentive parents, hundreds of caterpillars, insects & live mealworms. Result… six chicks successfully fledge! Click on photo link above to follow their story through chat, photos & video. 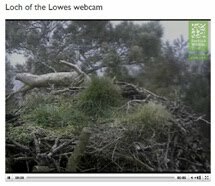 Owlet dramas, as we go from three to two…. Does Everything Grow Better in My Neighbor's Yard? Winter Snow (and ice and rain and lightning and thunder)! My small garden is in Perthshire, Scotland. I don’t have salmon in my pond, red deer in my borders, ospreys nesting in my acers or red squirrels at my peanut feeders! 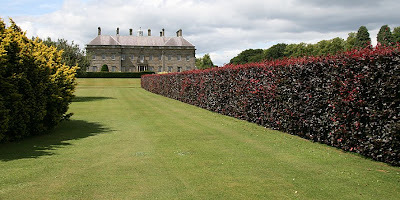 Nor do I have the world’s highest hedge, paths exciting enough for the serious cyclist and enough of a lawn for golf! However, Perthshire does plus many beautiful gardens too… follow the photo link above to see :-) Update Nov 2016 - Fantastic news, red squirrels now visiting feeders! Click on the photo above to a list that will continue to update for reuse ideas and recycling centres.